There has been discussion over the past few weeks throughout the financial world regarding the divergence between the S&P 500 and the 10 year U.S. treasury bond. Modern economics and finance teach us that when the economy improves, the stock market improves, and bonds usually fall (bonds fall in price when interest rates rise). Rates rise because when the economy improves, inflation rises and investors demand a higher return to compensate for inflation risk. There is also a "rotation" of out bonds back into the now more attractive world of stocks. Since April of the year we have seen U.S. equity and bond prices rising together. 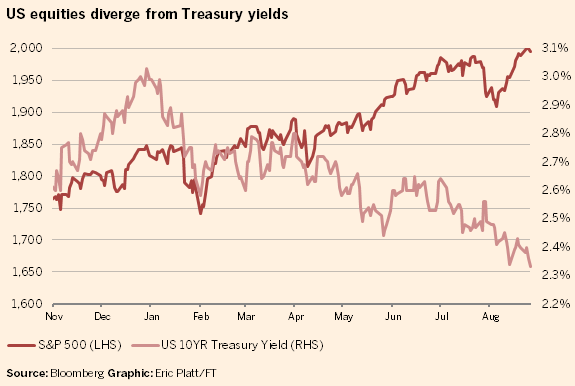 Bond prices rising means yields falling, which has created the puzzling divergence in the graph below. We're going to time travel back through history twice to try and figure out what is happening here. The first trip back in time is to the last post crash boom during 2003 to 2007. We see that during this entire period, in general, stocks and bonds rose together. It would appear that the two moving in tandem is less rare than we have been told. Now let's flash back to 1981. Here is the key chart. 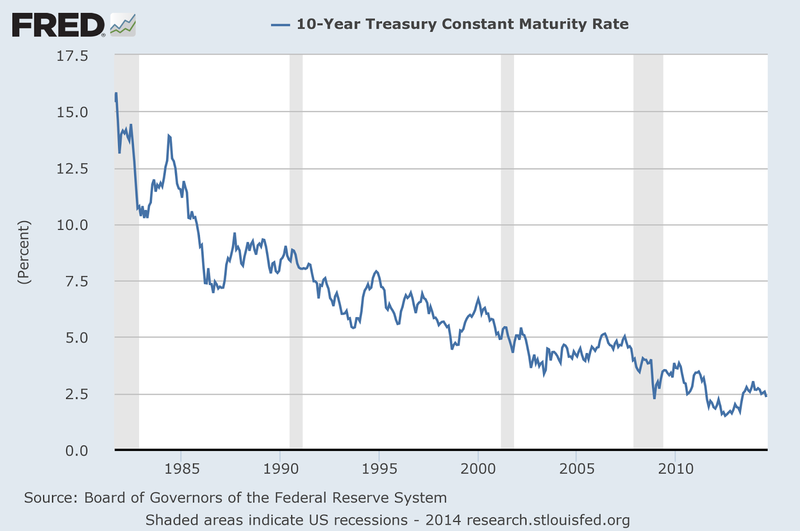 Take a look at the 10 year treasury yield from 1981 to present. You can see that treasury bonds have been in a bull market for 34 years. With hiccups along the way, yields have been falling in a steady downtrend for decades. Therefore, the only time stocks and bonds moved in opposite directions for long periods of time was when stocks were falling. This is why bonds have always been considered the "safe" investment to move into when stocks fall; because bonds always move higher when stocks fall, right? Investors today believe that the most likely scenario under our current period of economic growth is to have money "rotate" out of bonds and into stocks. The second most likely scenario is a surprising decline in economic growth where money moves out of stocks and back into bonds (remember bonds always rise if stocks fall, right?). The third most likely scenario is that stocks and bonds continue rising together as they have been since April. With the U.S. financial markets the most desired location for global capital, why can't stocks, bonds, real estate, the currency, and everything else within U.S. borders rise in price forever? There is a fourth scenario. It is not considered the least likely by the mainstream world, it is now considered impossible. Based on sophisticated computer programs churning data that goes back decades, we have been told this event is like the 1987 stock market crash; it can only happen once every hundred billion years. The impossible scenario, the ultimate black swan, would be for U.S. stocks and bonds to fall simultaneously for an extended period of time. How far back do you have to go back to see this once in a billion year event occur? The 1970's, when stocks moved sideways the entire decade (experiencing free fall downdrafts along the way). The real returns on stocks were destroyed by inflation. Bonds fared far worse with rates rising steadily throughout the entire decade (bond holders lose principal when rates rise, something no one remembers is even possible). After a decade of destruction, U.S. citizens did not want to hold stocks and they definitely did not want to hold bonds. What did they want? Gold. There were huge lines around coin shops during the final months of 1979. We know now that January 1980 was the ultimate opportunity to sell gold and move back into U.S. financial assets at their most hated moment in history. 34 years later, we are at the exact opposite extreme. 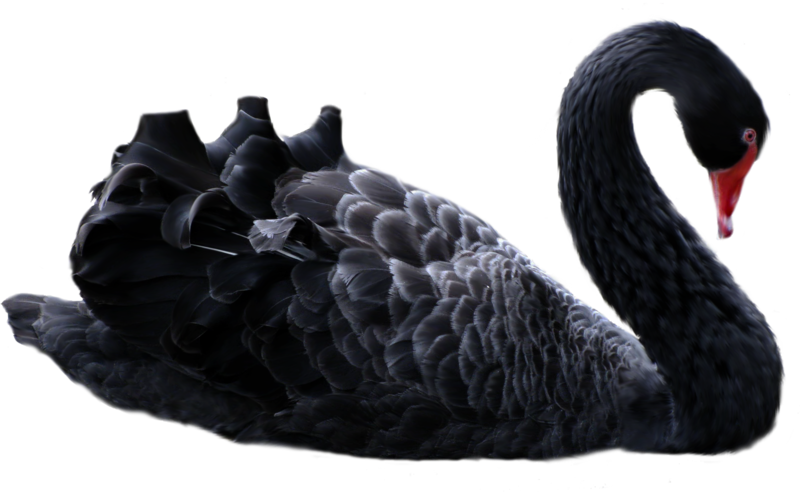 I do not believe U.S. stocks and bonds falling simultaneously is a black swan event. I believe it is the most likely scenario. I would not recommend holding U.S. stocks or bonds at today's prices. I believe that both asset classes are highly overvalued and arguably in bubble territory. The next logical question for someone living in the United States would be: "what could you possibly hold if you sold your U.S. stocks and bonds?" There will come a time again in the future, I hope in my lifetime, when U.S. financial assets are sold off, undervalued and hated the way they were in 1980. People at that time will promise never to return back to the U.S. financial markets again, which will signal the greatest buying opportunity in our lifetime for U.S. assets.